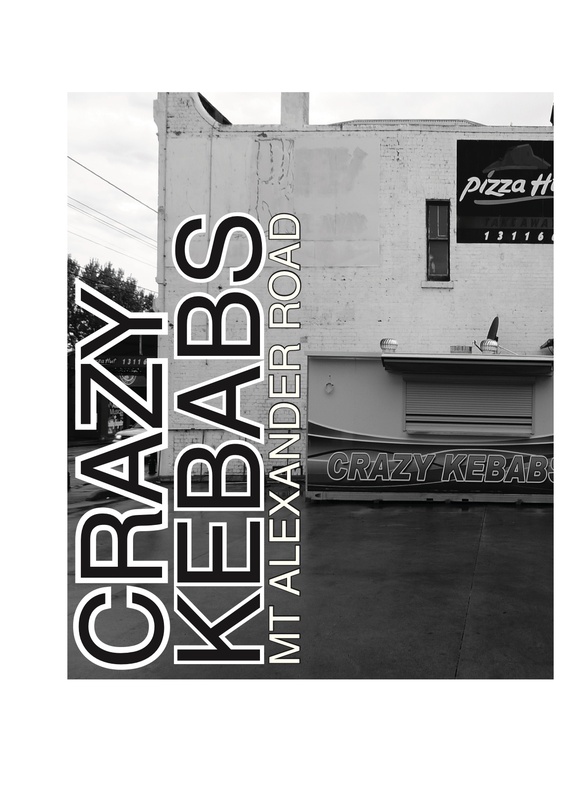 40 Melbourne kebab shops in 500 pages? Book of the year! 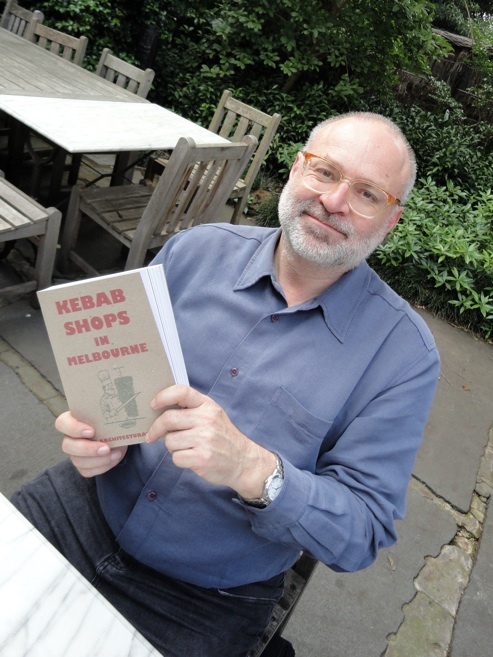 Derham Groves is a man after my own heart – he’s passionate about things. Let’s see – architecture, on which he lectures/teaches at the University of Melbourne; rabid Geelong Football Club fan; really big on crime literature, with a special and obsessive penchant for Sherlock Holmes. And that’s just for starters. 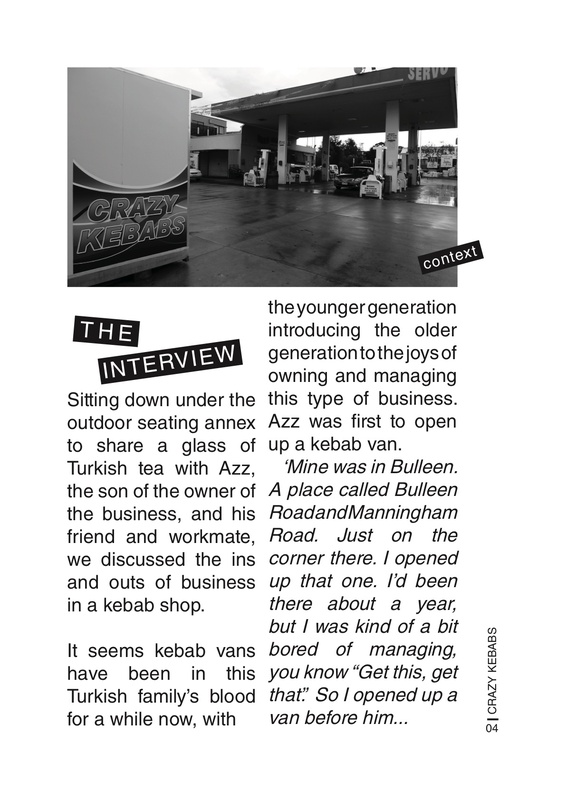 But I’ve wandered on to the surprisingly expansive and unfamiliar surrounds of the university campus to talk with him about his latest “baby” – a 500-page book concerned solely with an in-depth survey of 40 Melbourne kebab joints. After a few wrongs turns and helpful guidance along the way, I meet Derham outside University House, in to which we scuttle for a couple of outstanding coffees. 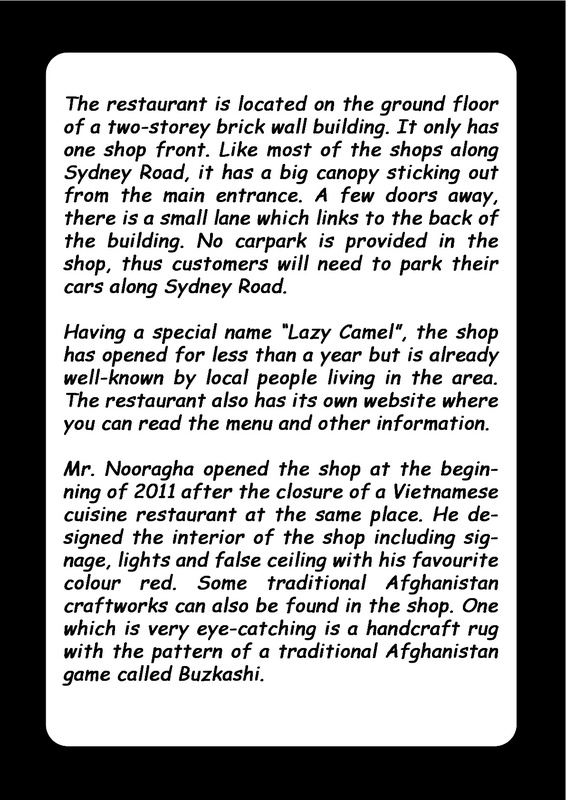 As we sup, I hear the fascinating story of how Kebab Shops In Melbourne – An Architectural Survey came about. In 2010, Derham visited Iran for three weeks, courtesy of a travel grant from the Iran Heritage Foundation, to look at Iranian brickwork. 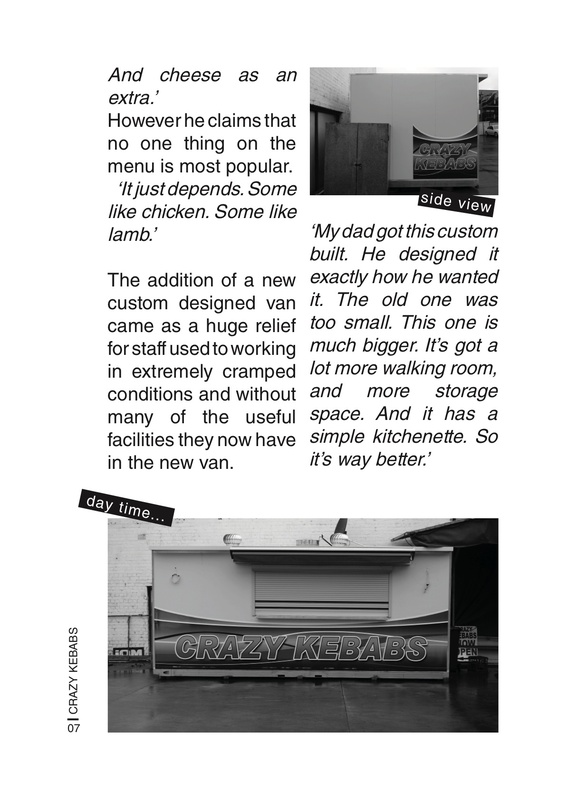 As he moved around the country, he needed to eat – as you do – so found himself in many kebab establishments. Quite apart from the no-doubt delicious food of which he partook in such places, he often found himself befriended, offered food to share and otherwise engaged by the locals. 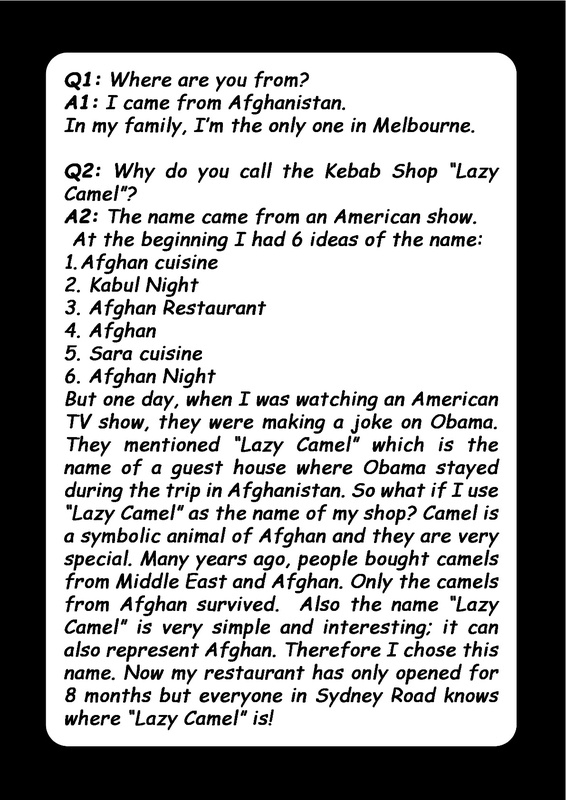 All this got him thinking … about kebab shops, their role in the community. And it got him thinking, too, about their equivalents back in Melbourne. 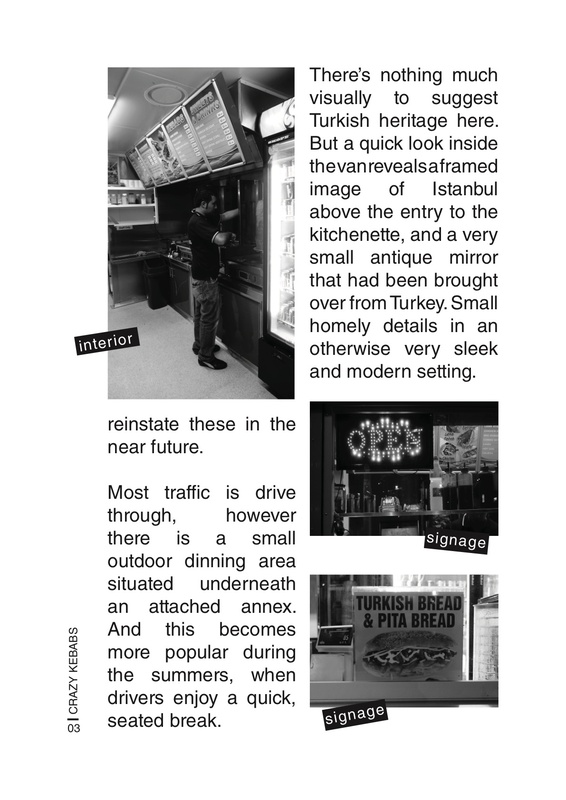 Back home, he initiated a project in which the 90 students in his Popular Architecture and Design course – in teams of two – dispersed across the city, with each team given the task of profiling a kebab shop. 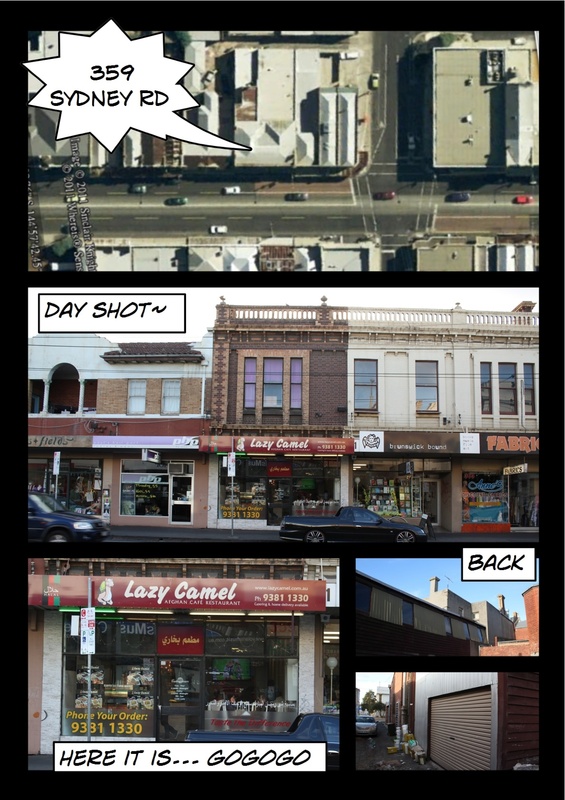 The result is Kebab Shops In Melbourne – An Architectural Survey. It’s a beaut read, by turns entertaining, revealing and – for the likes of your blogger – absolutely riveting. Because of the quick turnaround time, the students’ work is unedited and as presented. 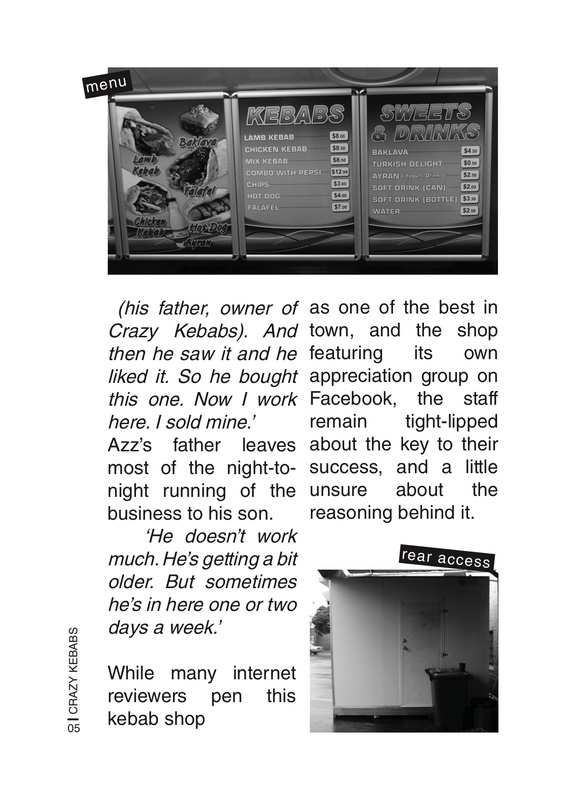 Not only do their individual voices comes through loud and clear, but so, too, do those of the small business folk and families who run the kebab places – which in Melbourne, as in Iran, are a ubiquitous yet rarely studied or even appreciated beyond the sometimes urgent needs of a quick, cheap and delicious feed. 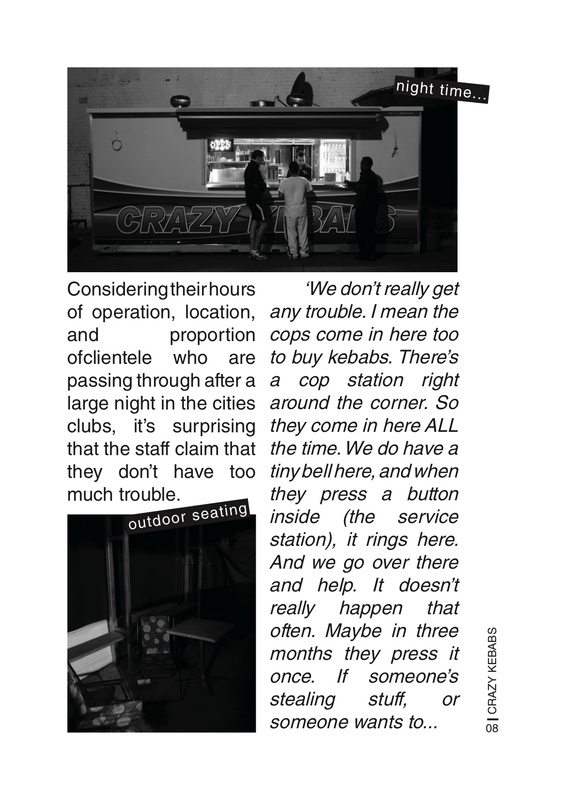 This came about because the students were given marching orders that not only covered topics to be expected of an architectural project – fittings, furniture, signage and so on – but also interviews with the operators. As a celebration of the every day, the book closely mirrors the evolving ethos of Consider The Sauce. So, too, does the journey undertaken by the students. Derham tells me that 70 per cent of the students on the course are Chinese. 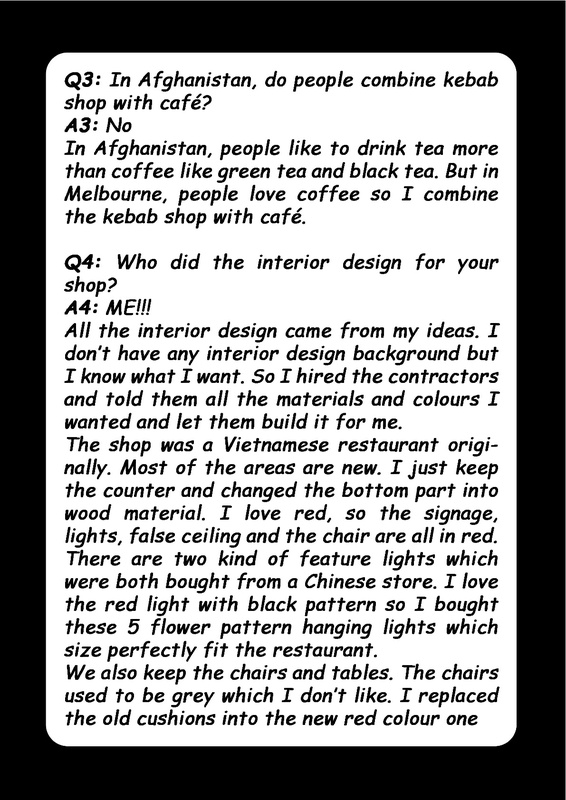 How wonderful and enriching, then, that they ventured out of whatever CBD enclaves, peer groups and noodle shops they ordinarily frequent to meet another vital part of Melbourne’s make-up. 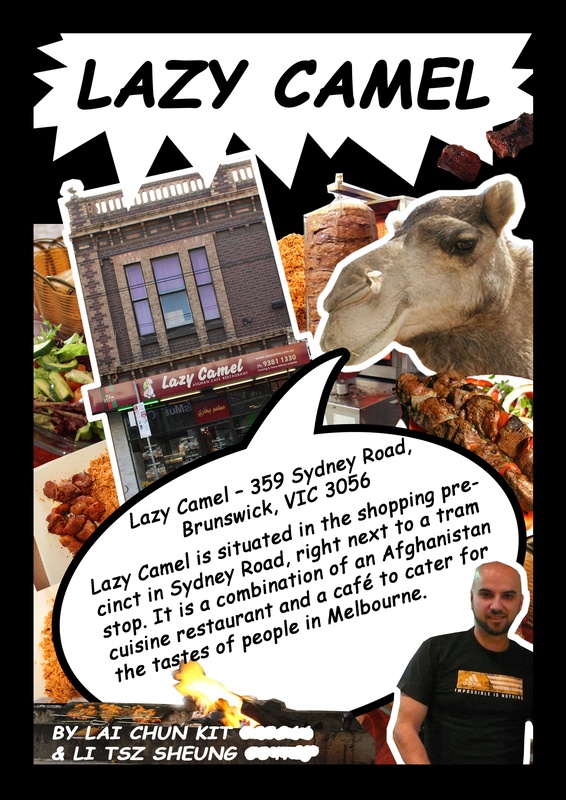 Of course, unlike in Iran, Melbourne’s kebab shops are dominated by families of Turkish and Greek heritage, but that didn’t stop Derham’s students from taking to their tasks with relish – and enjoying some magnificent food along the way. 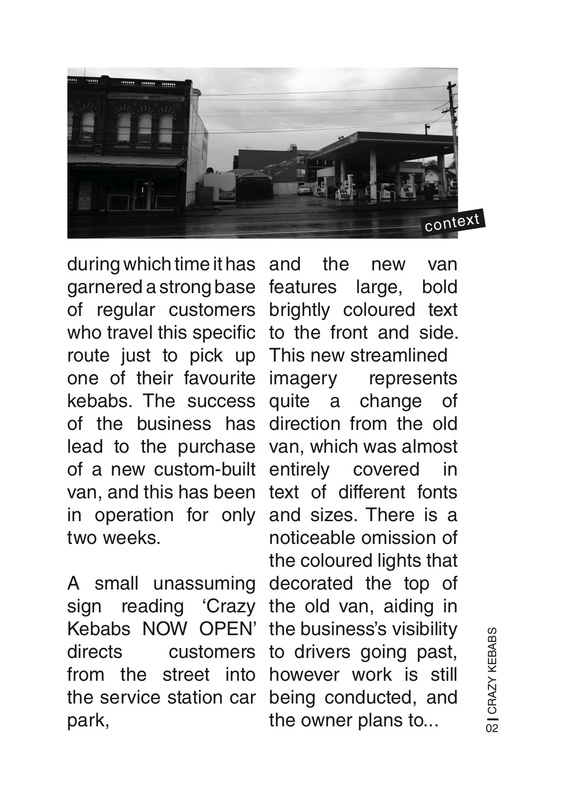 Included among the 40 kebab shops is long-time Consider The Sauce favourite Footscray Best Kebab House. 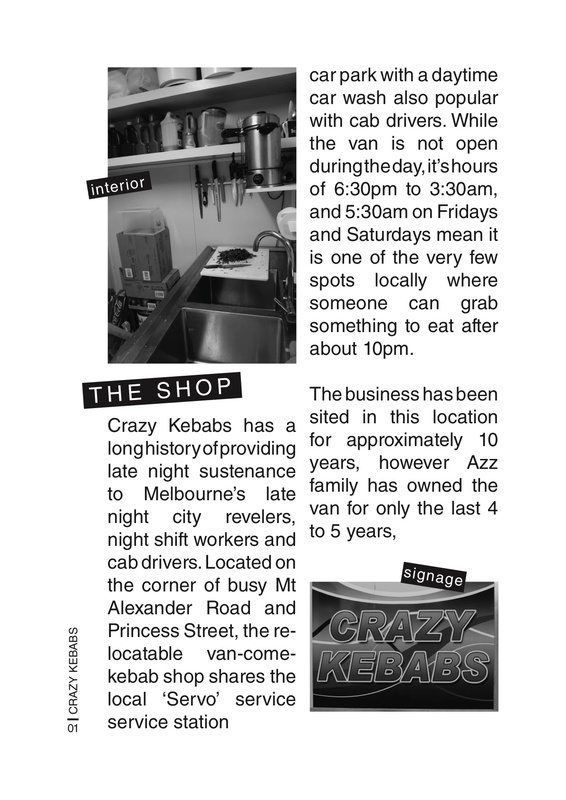 Crazy Kebabs in Mount Alexander Rd gets a guernsey, too, but other than that the books finds Brunswick, Sydney Rd, Melbourne’s CBD and Fitzroy heavily represented. Derham’s students may not have become life-long kebab fans and may duly recall their study sojourn in Melbourne as merely a step on their life journeys, but he tells me that nevertheless when each of them was presented with a copy of the book, it was notable that many of them carried them clasped to their chests, front cover out and clearly visible. Heck, I’d be a bit proud of such an effort, too! 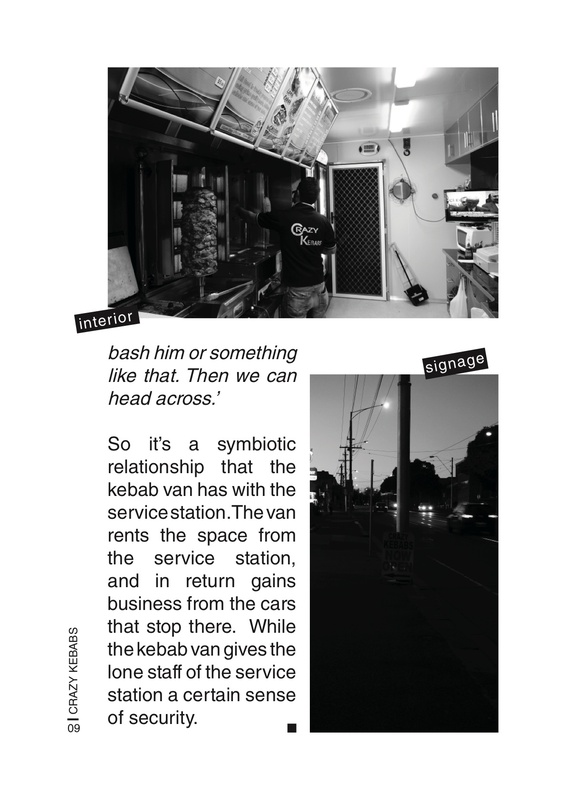 Kebab Shops In Melbourne – An Architectural Survey is published by the Custom Book Centre of Melbourne University and is available here or from the university’s book shop. 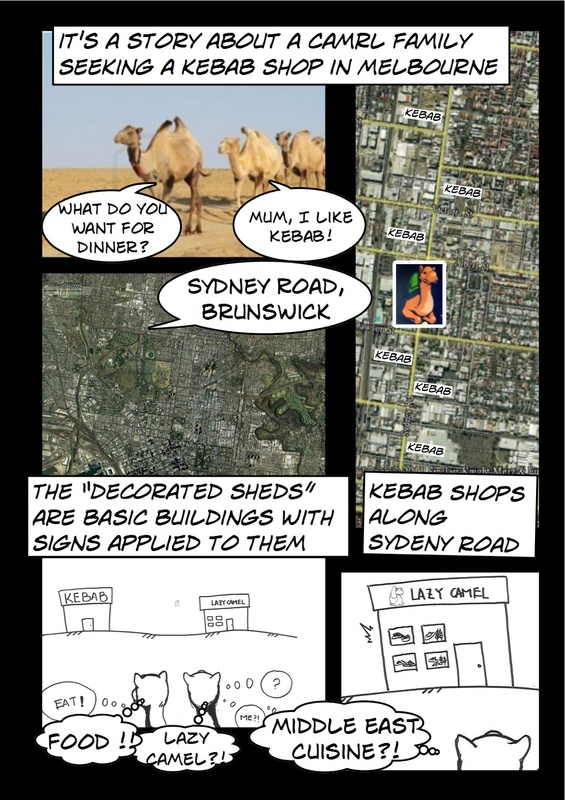 As an academic exercise, it could be argued that the work of Kebab Shops In Melbourne – An Architectural Survey has already been done. Derham harbours a suspicion, however, that it could go “feral” and become a cult classic. I think it should be a bestseller. 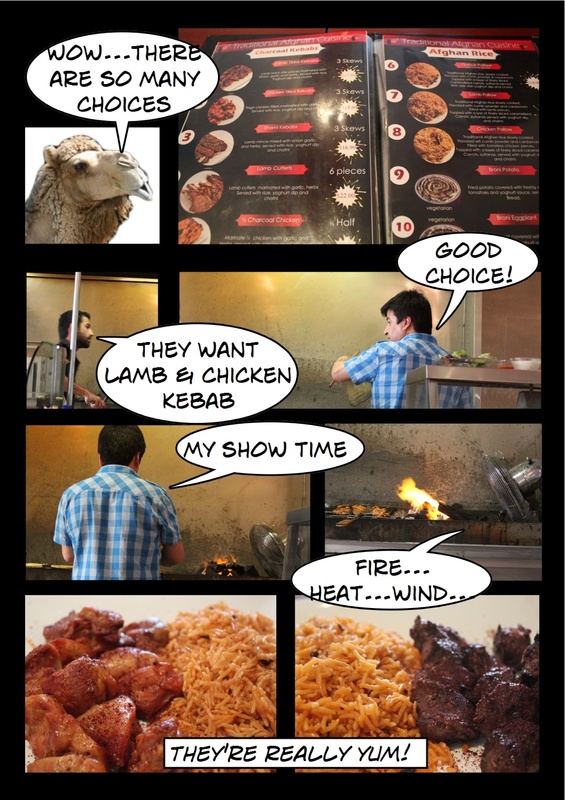 A wrap on Derham’s Iran trip – including pics of particularly succulent looking kebabs – can be found here. 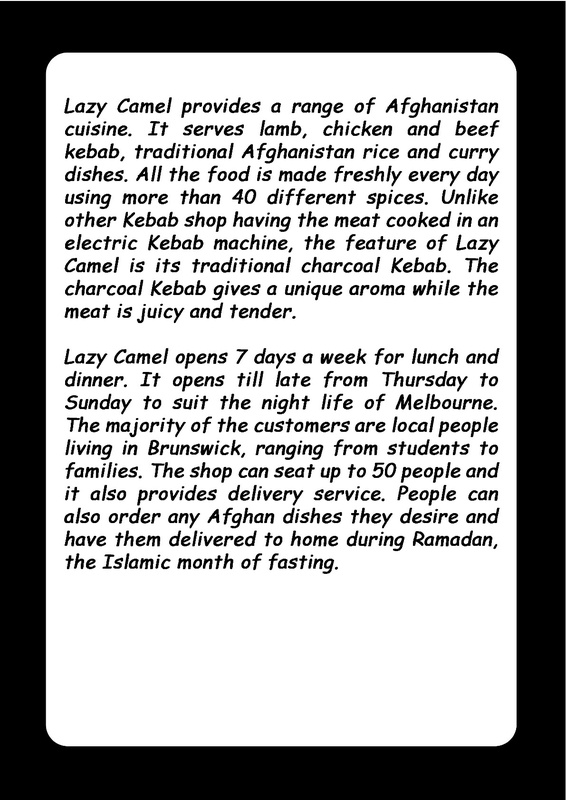 Thanks to Derham and his students for letting me republish here a couple of the kebab shop surveys. This is awesome! What i great idea this man has come up with and the students look like they did a great job! Really really great, thanks for sharing. SO COOOOLLLL!!! What a must-have! I wish they did wave it under a copy editor’s nose just a little though, but in another way the raw-ness is unique. Thanks all! Glad you share my excitement about this! Lauren, when Derham handed me the book, my first thought was that it could’ve done with more care by way of editing and presentation. But the more I delved into it, the more I felt it was just perfect they way it was.